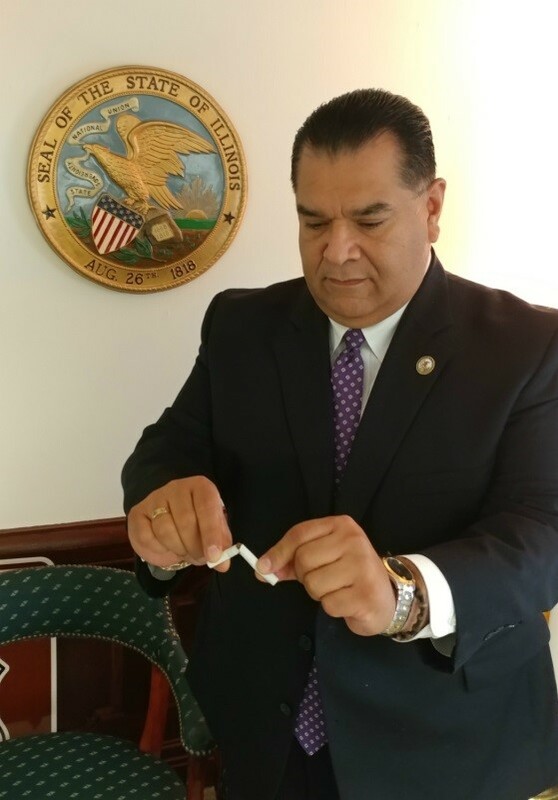 SPRINGFIELD – State Senator Martin A. Sandoval (D-Chicago) helped pass a bill Thursday raising the legal purchasing age for tobacco products from 18 to 21 years. House Bill 345 was backed by the American Cancer Society, American Lung Association and other health organizations, and Sandoval said he was proud to take action on behalf of Illinois' youth. Illinois would be the seventh state in the country to raise the tobacco purchasing age to 21. More than 300 towns across the country have also raised the age, including 24 municipalities in Illinois. Chicago, Highland Park, Buffalo Grove, Evanston and Peoria are a few of the cities in Illinois that have raised the age. Raising the age to purchase tobacco has been proven to reduce the number of high schoolers who smoke. In Chicago, where the age is already 21, authorities recorded a drop in the rate of high school-aged students who smoke from 13.6 percent in 2011 to 6 percent in 2017. Raising the age was cited as a key component of the decrease. House Bill 345 21 passed 39-16. It will now go to the governor’s desk. 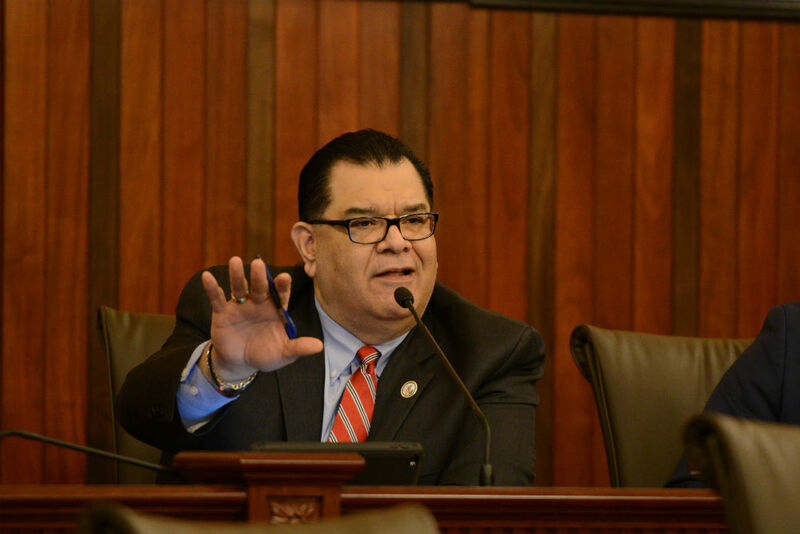 SPRINGFIELD – State Senator Martin A. Sandoval (D-Chicago) applauded the Illinois Department of Transportation’s announcement Tuesday that it will host a conference to provide learning and networking opportunities for firms whose owners often face disadvantages in the marketplace. “I have long been an advocate for providing greater opportunities for businesses owned by disadvantaged individuals and I was glad to see that Gov. Pritzker committed in his budget speech to advocating for more minority contracting opportunities,” Sandoval said. The conference will focus on Disadvantaged Business Enterprise (DBE) firms, which are businesses owned by individuals who are socially and economically disadvantaged such as minorities, women or persons with disabilities. The conference will take place March 25 and 26 at the President Abraham Lincoln Hotel in Springfield. It will include educational and skill-building workshops, best practices and networking opportunities for Illinois DBE firms. A recent report submitted by IDOT showed that the department is lagging behind in terms of awarding prime contracts to minority-owned firms. Visit IDOT.Illinois.gov and search “TCTR” for registration information and other event details.